A lot of teaching your child to read is first instilling in your child a desire to read. 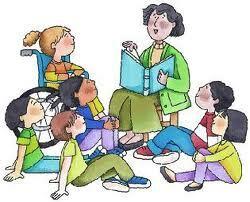 Its so very important for the child to know that reading activities and learning to read is fun. Early on, for instance, if you havent yet, set aside an area of your home where your child can have their very own reading area and little person library. This will get most all your reading activities off to a great start. Having their own special place for reading activities will encourage the child to spend time reading. Encourage them to begin to find their favorite spot within their area for their reading activities. Grab yourself a comfy chair and join them and youll be amazed how much your child will want go into their reading area and have you with them for a reading session. And an added bonus to the reading area is a great place and time for you to spend with your child reading to them and vise versa. Reading is nothing more than a practiced skill. Practicing being the operative word. Instilling good reading habits in your child early on with consistent and daily reading and practice sessions is laying the bricks to a solid learning foundation no matter what the subject matter. Books from bookstores, garage sales, flea markets and such are a great way to begin building your childs reading library content. Grab a cardboard box, and old milk crate or two and decorate them with your child so they can have their own library and take pride in how it looks and help them organize their reading materials. If you already have bookcases, then clear of one of the shelves and make that special place for your child’s books. Its fun to do and your kids will have fun too. Build momentum early with how much fun reading and exploring books can be. Also make good use of your public library. Teaching reading skills begins with developing in your child an interest and love for reading. As your childs library grows along with their reading skill they will understand that books are important, enjoyable, and always filled with new things to learn. A good reading activity can involve very little actual reading. Use picture books with very few or no words and ask your child to describe the picture or tell a story about what the picture is about. This will allow you to monitor the childs vocabulary and the use of the words they have been learning. Don’t overlook the importance of vocabulary building along with building reading skills. A strong vocabulary goes well with understanding what youre reading which, in turn, keeps the frustration level down, and the fun factor up.